For Caitlin Davis, the pivot from economics to medicine materialized after years of working in health policy research and witnessing the difference an expert could make in the medical field. For Matt McHarg, it came after struggles with his own health. For both, the desire to change their life and their career path led to George Washington University’s (GW) Virginia Science and Technology Campus, home to the School of Medicine and Health Sciences’ (SMHS) Post-Baccalaureate Pre-Medicine program. The program, directed by Lisa Schwartz, EdD ’10, assistant professor of integrated health sciences at SMHS, launched in 2015. It’s designed for students who have received a bachelor’s degree in an area other than the life sciences, but whose passion for medicine won out. Davis said the linkage between the post-baccalaureate program and the SMHS MD program caught her eye when choosing schools; she is now in her second year of medical school at GW. “I can’t imagine being somewhere other than D.C.,” Davis said. “Especially with everything that has been going on [here] with health care in the past year, it has been wonderful to be at the epicenter of all that.” The linkage option does not guarantee acceptance to SMHS; students must apply and be admitted, with the condition that they finish the post-baccalaureate program and score well on the MCAT, according to Schwartz. GW’s Post-Baccalaureate Pre-Medicine program includes 12 months of classes and then a “gap” or “glide” year during which the students apply to medical school, according to Schwartz. 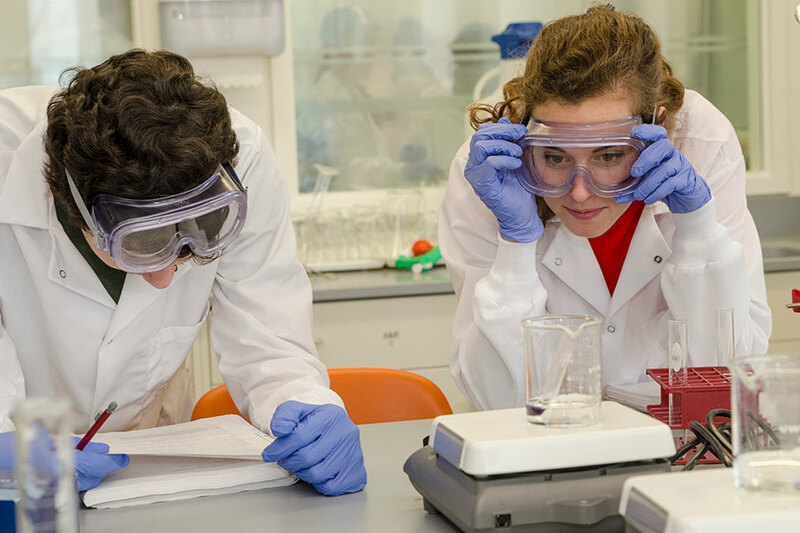 The program gives students the educational foundation they need to enter medical school — classes such as general chemistry, organic chemistry, biology, physics, biochemistry — and gives a high level of attention to prepare students for the medical school application process. McHarg, a northern Virginia native, was drawn to GW’s program because of its proximity to home. Currently in his gap year, he said the program prepared him not only for his classes, but also for the MCAT exam and the medical school application process. He said the support given by the faculty, including Schwartz, really made a difference. The yearlong program is rigorous and accelerated, Schwartz noted. Some schools in the United States integrate their students into the undergraduate program, but at GW they are taught in classes dedicated only to their cohort. This distinction allows students to learn in a high-level learning environment. The first cohort of students, which included Davis, had just 10 members; the second and third cohorts expanded to 17 students. Schwartz said the program is aiming to grow to about 30 to 35 students in each cohort. In fact, as McHarg spends this year going on medical school interviews, he’s also serving as a teaching assistant (TA) for the program. He, along with another member from his cohort, is tasked with setting up and preparing experiments for the students, writing up notes on procedures, and helping with tutoring and review sessions. “The experience you get from being a TA was something that I was interested in. Being able to teach other people is going to be beneficial for medical school,” he said. In addition to opportunities such as teaching assistantships, the benefit of a program like GW’s includes affiliation with an academic medical center full of clinicians, researchers, and academics, added Schwartz. “I’m able to tap into that in terms of opportunities for students to do research as well as having [faculty] as guest lecturers for the seminars,” she said. “It’s not typical that you have these thought leaders in health care at your disposal to come educate pre-med students.